All of the parts for Schwinn Stingrays are pretty available online but they are not cheap. It is not so much that the parts are expensive but you can quickly get more invested in these bikes than they are worth, especially the reproduction bikes. 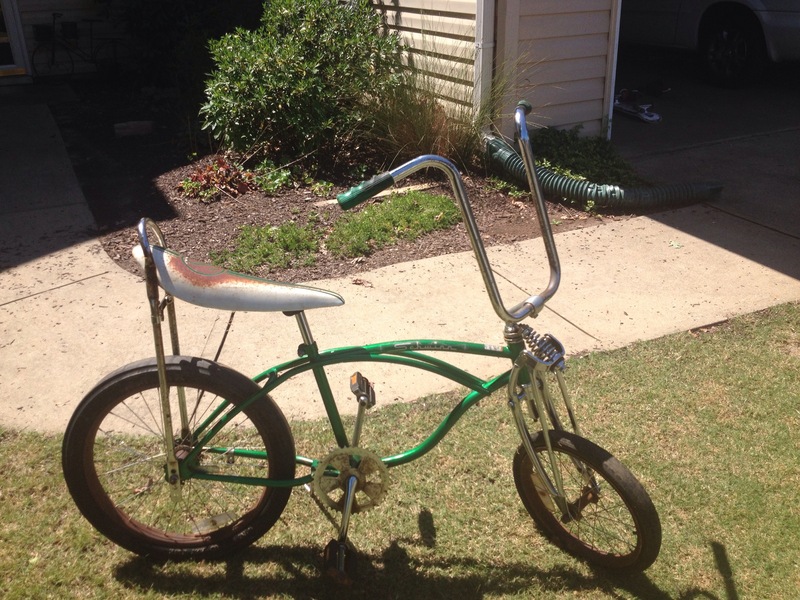 We decided to change our plans and put the green bike back on Craigslist with some of it cleaned up. We got several calls about the bike. We ended up selling to bike to a guy for $45. This guy, like most, had several muscle bikes and was looking to add to his collection. He planned to keep it so it didn’t matter to him how much he would end up investing in it to restore it. After selling both bikes we ended up making $35. While it seems like a lot of hassle for a little bit of money, we enjoy getting to tinker around. We still have the rear slick from the blue bike to sell which will probably add another $10 to our profits.